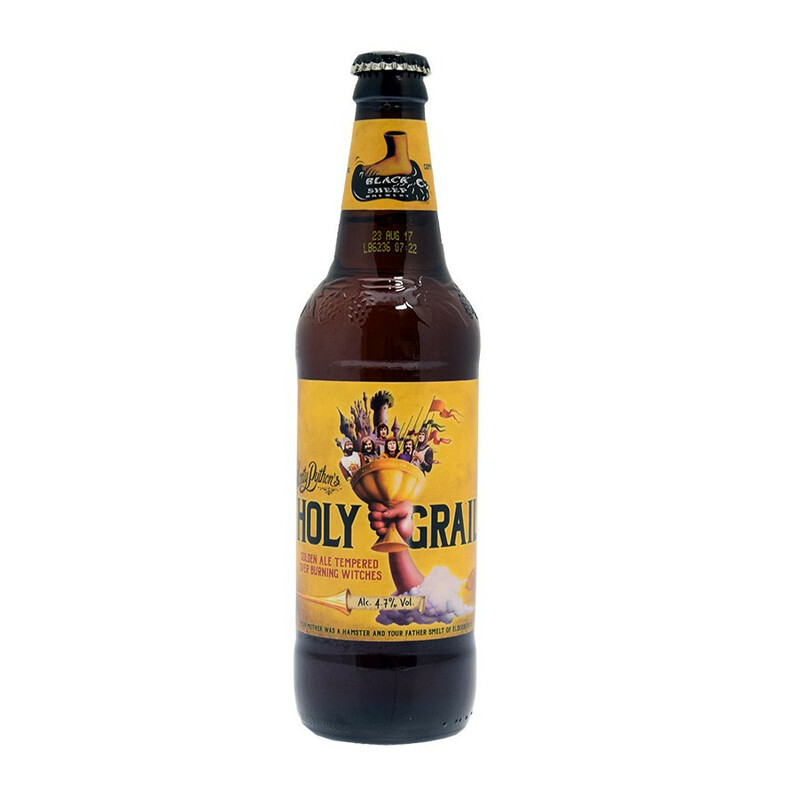 Holy Grail has been specially brewed to celebrate the 30th anniversary of the Monty Python in 1999. Full-bodied with a light bitterness, dry and refreshing, this Monty Python beer - tribute to the famous British humorists - is more than 10 years old today and recognised as a hallmark product exported worldwide. The Black Sheep Brewery was born in Masham, Yorkshire, in 1992. His owner Paul Theakston, comes from a family of six generations of master brewers. He first distributed his beers in local pubs. The family brewery had been bought by the Scottish & Newcastle Breweries, but Paul Theakston chose to work according to the family tradition, in a small brewery and not for a corporation. He purchased a small Victorian building and travelled England to seek appropriate equipment to create the perfect old-style brewery. Today, the Black Sheep brewery is a must-see place located at the heart of the Yorkshire Dales natural park. A distinctive fruity hop flavour perfectly paired with grilled and barbecued meat.